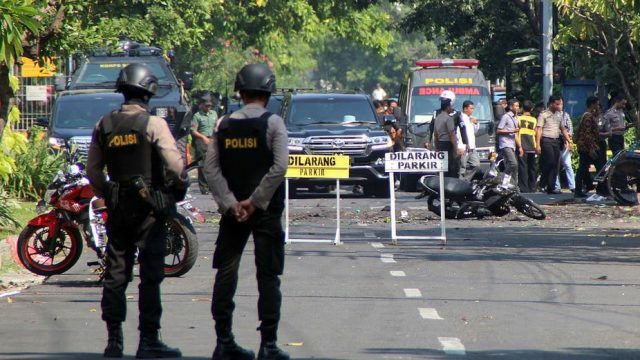 Even after the recent arrests and deaths of dozens of its members, the Islamic State-linked network of militant groups in Indonesia, organised under the umbrella Jemaah Ansharut Daulah (JAD), clearly remains a potent force. Since it declared its caliphate in Syria and Iraq in 2014, the Islamic State has perversely given special attention to planning and inspiring terrorist attacks during the Muslim fasting month of Ramadan, which began last week. Initially, it was reported that a family involved in the attacks had returned from the Middle East. Later reports suggested this was not the case. Nevertheless, they were close associates of IS returning fighters. As it turns out, the fall of Raqqa did not see the final destruction of the Islamic State army. Rather, under a secret deal brokered by the Kurdish-led, and American-backed, Syrian Democratic Forces, who led the campaign to liberate Raqqa, thousands of Islamic State fighters and their families were allowed to leave the city in convoys of buses and trucks. The election of a Shia-dominated government in Baghdad and the failure to rebuild Mosul and other destroyed Sunni cities mean that in Iraq, as in Syria, all the social and communal grievances that supported the emergence of al-Qaeda in Iraq (AQI) and the Islamic State of Iraq (ISI) remain in place.